Save time, effort and labour costs. 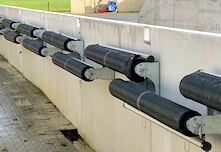 Rollers containing specialist strong, light netting are mounted on the long side of the clamp. 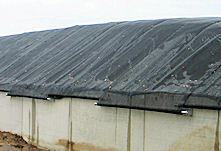 Once it is full, and sheeted with polythene, the netting is pulled across the clamp and fixed with ratchet straps on the other side. 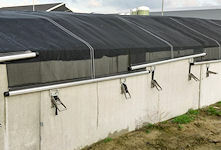 Is safe, clean and reusable - a modern, sustainable solution.